The weekly Thrifty Treasures party over at Rhoda's ended with the yard sale season, but I figured it wouldn't hurt to continue writing about finds I might come across this Fall and Winter. I don't go thrifting often these days...no need for extra *stuff*, but I can't swear off all shopping forever. So I thought I'd share one of my finds from the week with you today. I've started picking up a few Christmas gifts here and there, and Target had a great sale this week! My sister gave Natalie an adorable Our Generation Doll for Christmas last year. "Caitlyn" is very similar to the American Girl line, except that her accessories don't run $65 for a pair of tiny shoes. She came with an ice skating costume, ice skates, a warm up outfit, tennis shoes, iPod, a warm-up bag, medals, and more. And Michaela Byrd loves the Caitlyn doll too. Sometimes, when Natalie is feeling extra generous, she will let Michaela Byrd sit on her bed with the Caitlyn doll. So when I saw that Target had the Our Generation dolls on sale last week (and maybe the weekend before as well?) for just $27.00, I knew I had to get one for Michaela Byrd. For just $27.00, "Sydney Lee" came home in my trunk with all her ballet stuff, and I haven't taken her out yet for fear that my two and a half year old will see me doing it. So you'll have to see a photo I snagged from the site and just trust me when I say that it was a great buy! These dolls don't have quite as many accessories to choose from as the American Girls do, but they do have a good selection. The horse that goes with the equestrian doll was only $30 this week! I think of these as "starters" for moms who want to introduce their girls to dolls, but aren't ready to pay $$$ for a doll that may or may not have hair in dreadlocks by the end of the week. 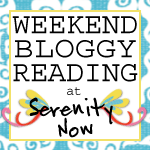 Weekend Bloggy Reading is open for new links until 10 pm (ET) tonight. PLEASE link back! *I was not paid or reimbursed to write about these dolls. All opinions expressed are my own. I love those dolls! I got my oldest daughter one of the MyTwinn dolls with many of their outfits, but when my 2nd daughter wanted a My Twinn doll, Santa brought her one of the Target dolls and she has loved it. And now Ella has one too. I love how affordable they are. I bought both of the girls the white wardrobe to keep their dolls' clothes in. They love those dolls. I am sure your daughter will love her new doll too. How fun!! What a great deal! I went into the American Girl Store here in Chicago and I could not believe the prices! If a girl brings her doll to the store they have other very expensive things to do WITH your doll like a photo studio and you can have your doll's hair done at the salon. I couldn't believe that people actually have extra money for stuff like that! Your daughter is going to love her ballerina! Cute doll and at a pretty good price too. American Girl dolls are nice but so expensive. Ridiculous expensive. She is a really pretty doll and you got a great deal on her. You are so smart to shop early. Looks like you got a great deal...I'm sure your daughter will love her!! I found quite a few good deals and I can't wait to share! Hope you had a lovely weekend. SUCH a great deal, especially given the cost of those American Girl dolls!!! Score! 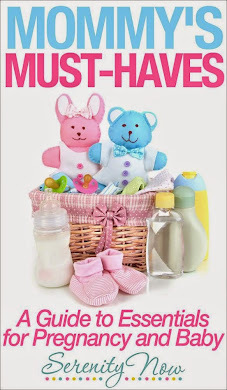 I agree with you that these make great "starter" dolls, especially for someone as young as your little one. I always recommend to my customers that they keep the doll's hair braided (if possible) to keep it from becoming a total mess. The hair is where they really cut costs on these dolls.